HARARE, 27 April 2015 (IRIN) - More than 2,000 Zimbabweans displaced by xenophobic attacks in South Africa have packed their bags for home. But Zimbabwe, a country teetering on the verge of economic collapse, is unlikely to offer them the means to restart their lives. 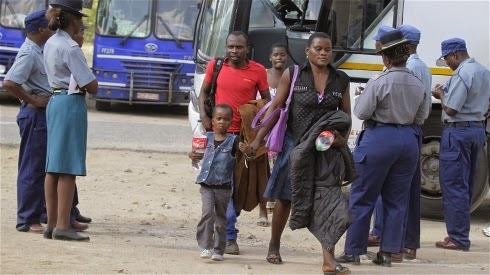 Labour and Social Welfare Secretary Ngoni Masoka told IRIN that the Zimbabwean government expected to receive some 2,400 returnees who had opted to return home following the attacks, but added the actual numbers returning could be higher. “We are getting constant updates from our embassy in South Africa. There could be Zimbabweans who might have decided not to approach us for help for various reasons, so it is difficult to know how many are coming back exactly,” he said.